Details: On October 31st, 2017, Exchange Online mailboxes in Office 365 will require connections from Outlook for Windows use MAPI over HTTP, our new method of connectivity and transport between Outlook for Windows and Exchange. In May of 2014, Microsoft introduced MAPI over HTTP as a replacement for RPC over HTTP. RPC over HTTP was a legacy connection protocol that is being deprecated from Exchange Online. Beginning October 31, 2017, Outlook for Windows clients using RPC over HTTP will be unable to access their Exchange Online mailbox. The necessary action depends on the version of Outlook in use in your organization. If you are using Outlook 2007 or earlier, you need to upgrade. Outlook 2007 does not contain support for the MAPI/HTTP protocol. We encourage you to update to the Office 365 ProPlus subscription, or access Outlook via the web browser (which is included in your current subscription plan). Outlook 2010-2016 customers will need to ensure their version of Outlook for Windows is set up to support MAPI/HTTP. At a minimum, you should ensure you have installed the December 2015 update. Lastly, ensure your Outlook clients are not using a registry key to block MAPI/HTTP. After some problems at a customer i looked deeper at these problems. Sow I made a list of al iOS versions (6,7 and 8) and there problems. Yesterday i was at customer who had problem dat transaction logs Rapid growl. It was on a Exchange 2013 Server with CU5. This is still a issue for Exchange 2010, Exchange 2013 and Office 365. Microsoft has al ready blocked IOS 6.1 – 6.1.1 devices at Office 365. Server was OK…. But When i run Get-EASDeviceReport.ps1 i saw some IOS 6.1 devices. Sow we going to block this IOS versions. 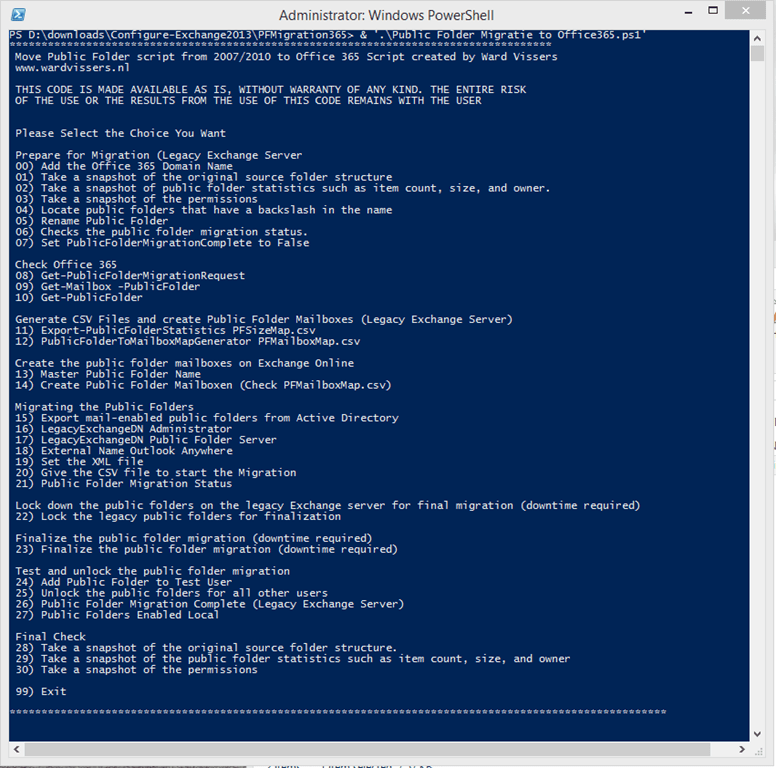 Microsoft has recently updated the Microsoft Exchange 2013 Public Folders Directory Sync Support Scripts to version 15.00.1017.003.